On Corso Vittorio Emanuele, a few steps from the splendid seafront of Naples and from the Mergellina underground station, in an area well served by the main means of transport and a wealth of commercial activities, we offer for rent an elegant apartment of 160 square meters inside and about 25 square meters of balconies. The property is located on the second floor of a modern elegant building, kept in good condition both outside and inside, and equipped with a lift and concierge service. The elegant apartment, with double entrance, is composed as follows: Main entrance in large hallway and large corridor, double living room, dining room, two double bedrooms, service room, kitchen, two bathrooms and second entrance hallway with large storage compartment. 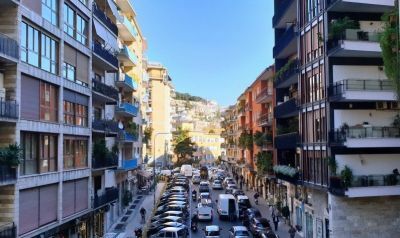 immobile is characterized by a double parallel exposure, both with large balconies, one of which with a sunny view of Corso Vittorio Emanuele. , of ample length, is also divisible, and, although it is in good condition, requires modernization. 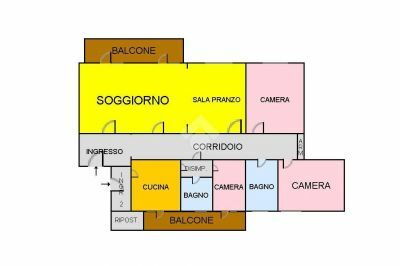 Affiliato Tecnocasa: SI CASA S.R.L.